Help Stuart fly through Central Park and return to the Little's house. Avoid birds and cats, but catch the batteries or you'll run out of power before you reach home. Successfully cross all three levels, and you win the game. Collect batteries to recharge your energy and keep flying. Keep away from the hawks and cats. They'll sap your energy. But you can de-claw the cats by popping their balloons. If you want to play Air Adventure games online you have come to the right place! GamesLoon adds new Air Adventure games every week. This is your game portal where you can find the biggest collection of free Air Adventure games online. 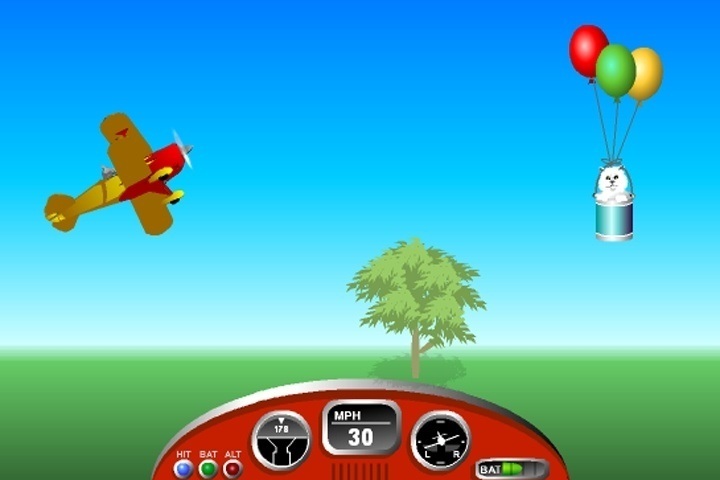 Do not forget to rate our Air Adventure free online games while playing!